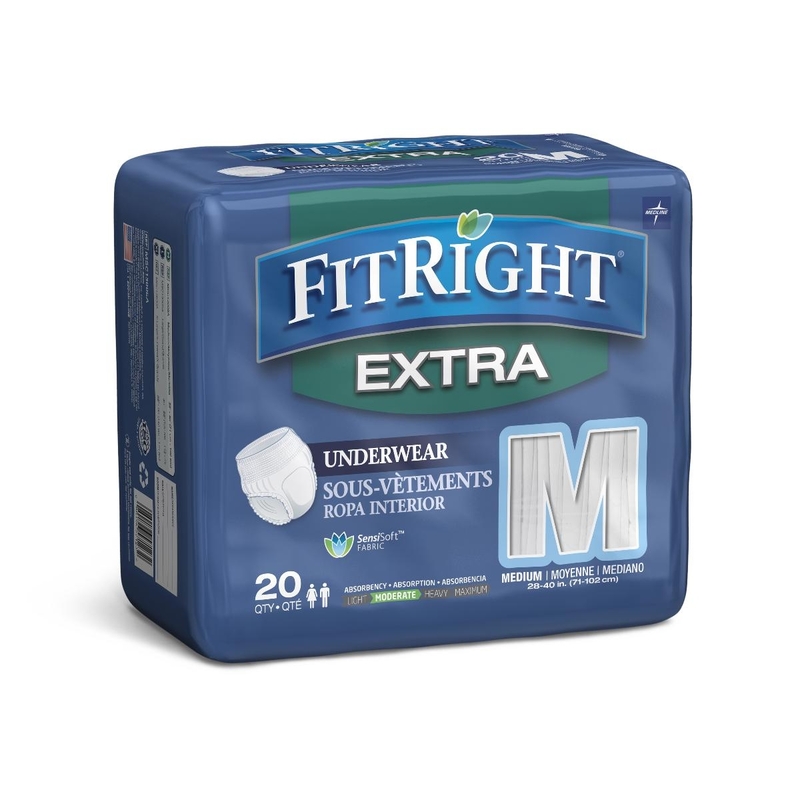 FitRight Extra Underwear minimize skin irritation and heat build-up with a soft, non-woven and breathable backsheet. 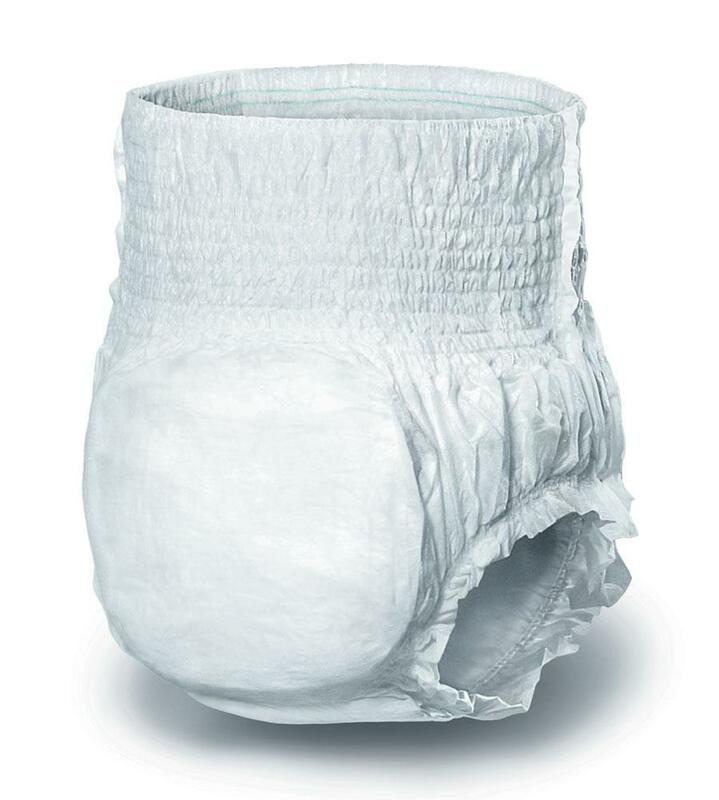 The absorbent core of this disposable pull-up underwear promotes dryness to protect the skin from harmful fluid exposure. 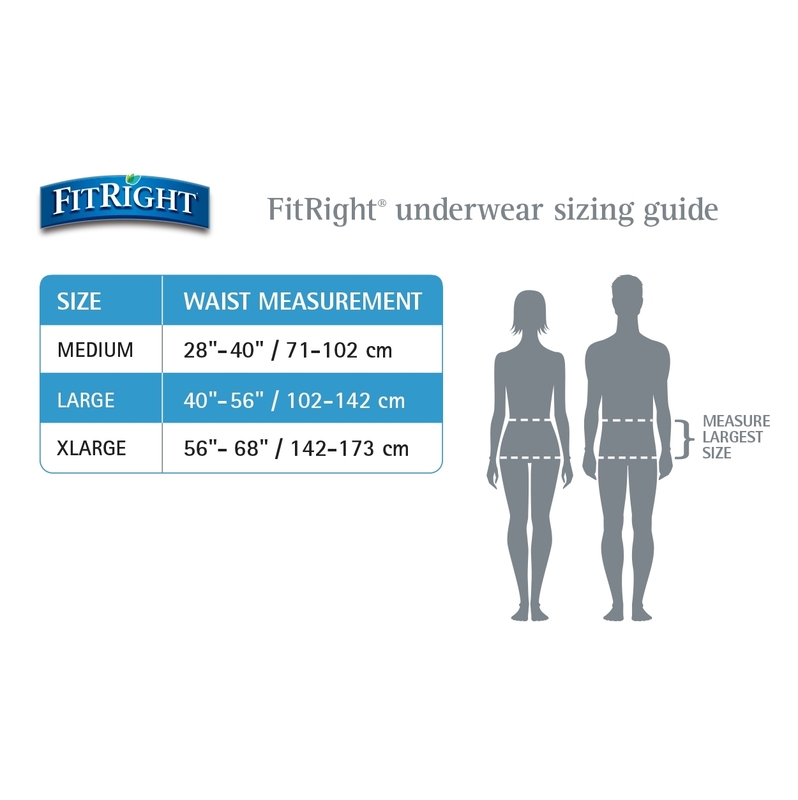 Originally called the Protect Extra Underwear, these pull ups are body-contoured to give the feel of regular underwear while providing excellent leakage protection. 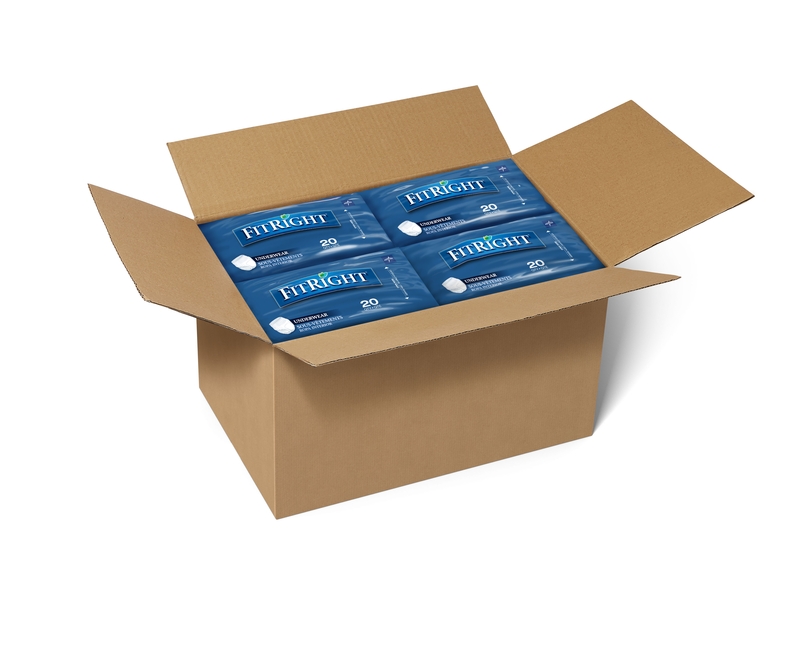 Note: This product is a direct continuation of the Protect Underwear, with the product name and packaging being the only changes.